Prior to attending a Contact Expedition, you are strongly requested to study the following books and materials by Dr. Greer or to study the Contact Training app (for iphone or android) and watch the Glendale and Crossing Point of Light workshops (available on Vimeo). The amazing autobiography of Steven M. Greer, MD. In one of the most astounding and moving true stories ever told, Dr. Greer relates his own personal experiences with Extraterrestrial peoples and the unfolding of cosmic awareness since his childhood. 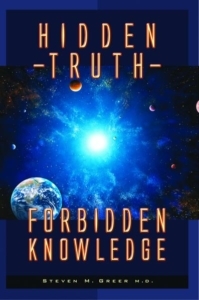 From his sighting of a UFO at an early age, to his amazing near-death experience at age 17, to his unraveling of the secret cabal running the illegal transnational energy and UFO-related projects, to his meetings with a CIA Director, US Senators, heads of state and royalty – you will be moved, shocked and enlightened as you read through this memoir. 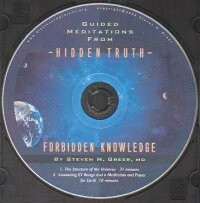 Two guided meditations from Hidden Truth – Forbidden Knowledge: Structure of the Universe and A Guided Meditation for Contacting ET Beings. 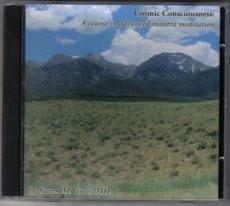 The Cosmic Consciousness CD and the Hidden Truth CD in combination make an excellent dynamic contact course. Order these and other interesting materials in our store. 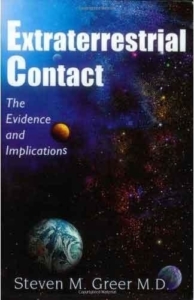 The ET Contact Tool is a self-contained course on making contact with ET beings authored by Steven M. Greer, M.D., which includes working scientific instruments for detecting anomalous activity. Dr. Greer as a meditation instructor for over 30 years, he has pioneered techniques that combine meditation and remote viewing for making ET contact. He has trained thousands of people around the world in the use of these methods. * Magnetometer and Compass require iPhone 3gs, iPhone 4, iPhone 5, 6 or 6 Plus. Also available on Ipad. 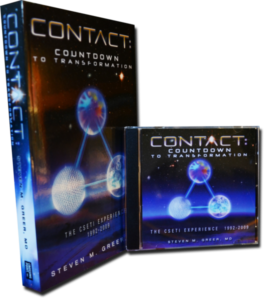 This is an afternoon workshop training intensive with Dr. Steven Greer on how to make Contact using the CE-5 protocols and what the implications are for global Disclosure when thousands of people are making Contact. Dr. Greer shares the amazing collection of CE-5 ET Contact photos and videos and describe what REALLY happens as Contact is occurring. 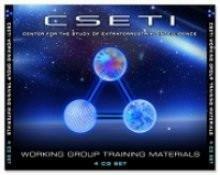 He describes the techniques of remote viewing and Contact vectoring that are used in the CE-5 Initiative and teaches the mediation technique and approach so you can start your own CE-5 Contact Team! And he leads the group in a guided meditation.